If you enjoyed your experience with Crash Rhythm, you are welcome to write a Testimonial in the form below. Last name is not mandatory. I have used Hilary Whiskin with my Community Music projects and workshops and it has been a blast! She’s energetic, versatile, fun and incredibly knowledgeable. She is able to work with diverse populations from children, university students, adults and seniors. 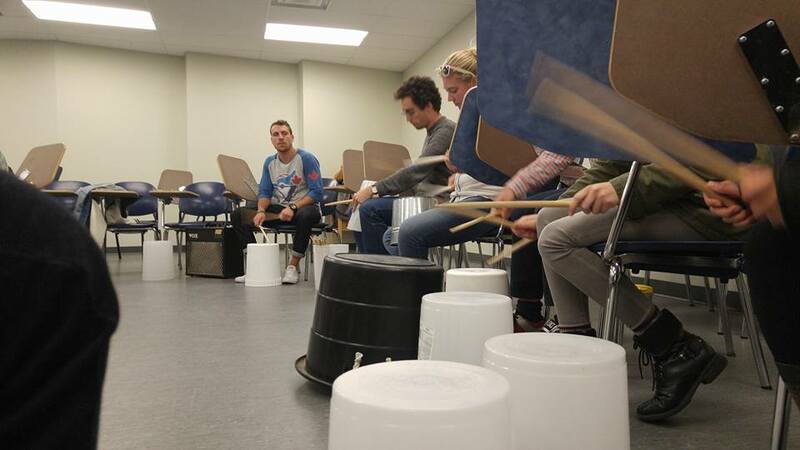 Bucket Drumming is very accessible and a great way to build rhythm and music into your program. Hilary works within community music models and provides opportunities to work and explore within formal and informal frameworks. She integrates drumming technique and community improvisation seamlessly into her work! CRASH Rhythm is a fantastic program!!! Hilary’s great sense of humour and playful nature inspire her kids to explore and learn in a fun and collaborative environment.